August 3, 2017 – Nurses at CHRISTUS Mother Frances Hospital – Sulphur Springs (CMFH-SS) are being honored with The DAISY Award for Extraordinary Nurses. The award is part of the DAISY Foundation’s program to recognize the super-human efforts nurses perform every day. The first award recipient is Ryan Jones, RN on the Medical/Surgical Floor for his attentiveness to patient needs and always creating a soothing and safe environment. 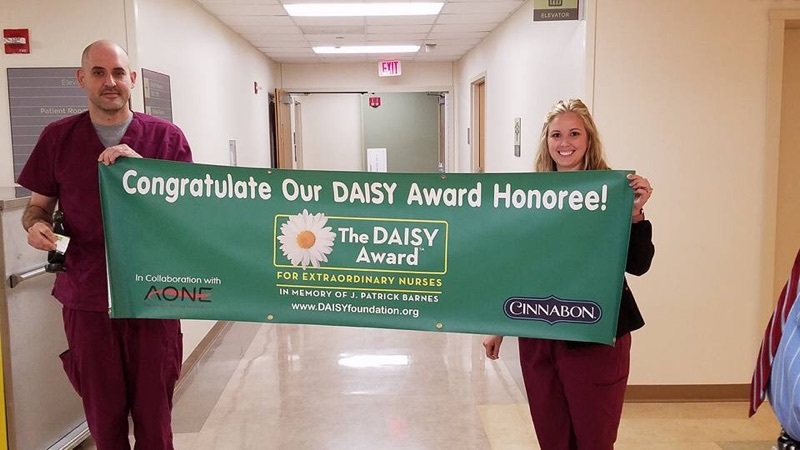 Nurses may be nominated by patients, families, and colleagues and they are chosen by a committee of nurses at CMFH-SS to receive The DAISY Award. 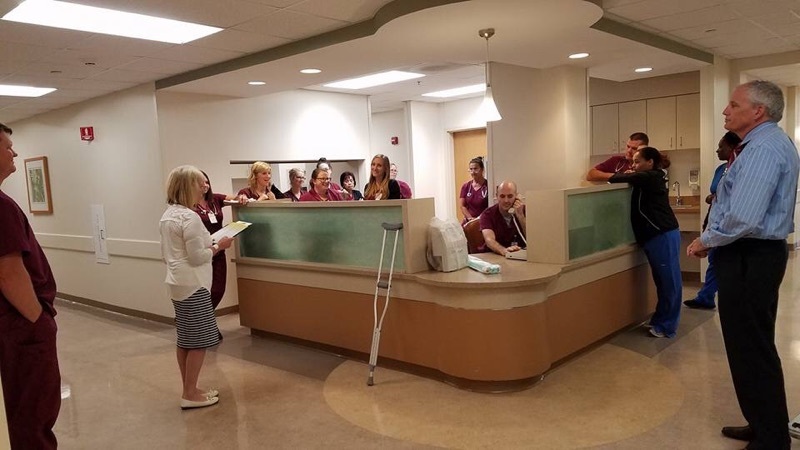 Recipients are chosen twice a year and presentations are given in front of the nurse’s colleagues, physicians, patients, and visitors. Each Honoree receives a certificate commending her or him for being an “Extraordinary Nurse.” The certificate reads: “In deep appreciation of all you do, who you are, and the incredibly meaningful difference you make in the lives of so many people.” The Honoree will also be given a beautiful and meaningful sculpture called A Healer’s Touch, hand-carved by artists of the Shona Tribe in Africa. For 68 years, CHRISTUS Mother Frances Hospital – Sulphur Springs has made a vow to lead the charge to create healthy lives for the people and communities of the Sulphur Springs area and across Northeast Texas by extending the healing ministry of Jesus Christ. Our nurses keep that promise every day by providing the compassionate, sophisticated, award-winning care you have come to expect. Our journey is just beginning, and we invite you to join us. Follow CHRISTUS as We Follow CHRISTUS.